Low maintenance. No fittings inside the pole. 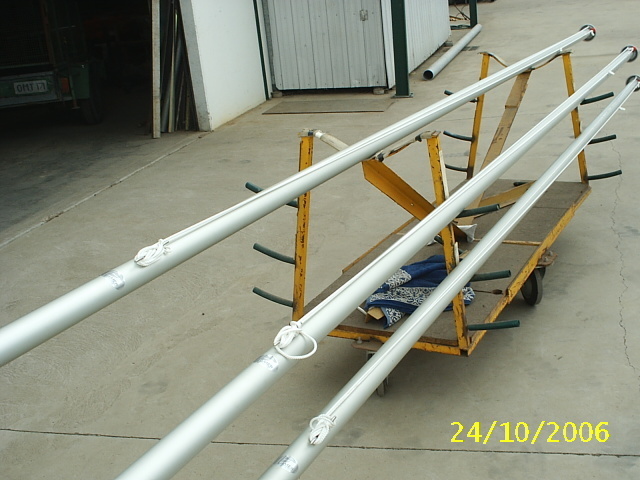 The “Lawnmate” range of straight sided untapered poles. They are all fitted with a spigot. Halyards are external to a horn cleat. 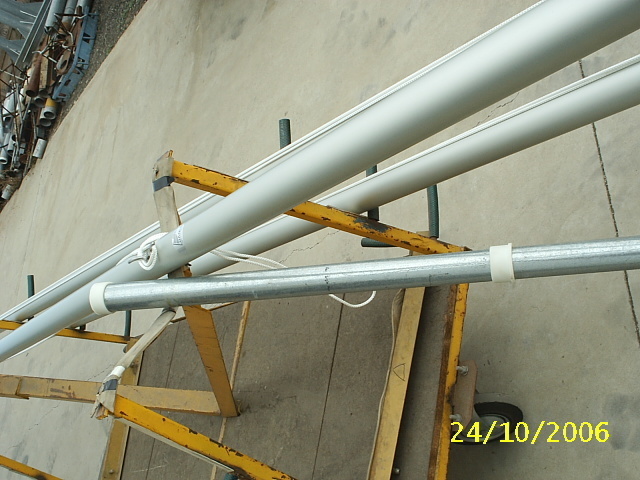 High tensile tapered tube in 6063-T6 aluminium. This is a very low maintenance pole as there are no moving parts and no parts inside the pole. Solid aluminium finial to match the pole’s finish. 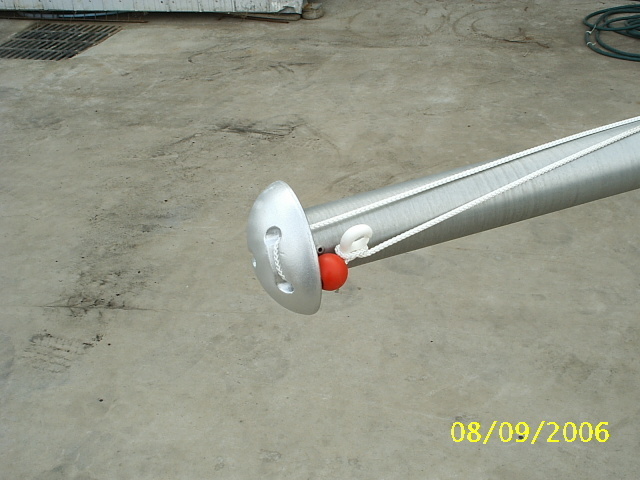 The pole is supported on plastic bushes over a galvanized steel spigot and base. All poles are available in an anodised natural finish.